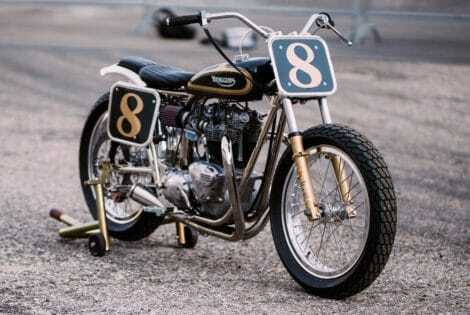 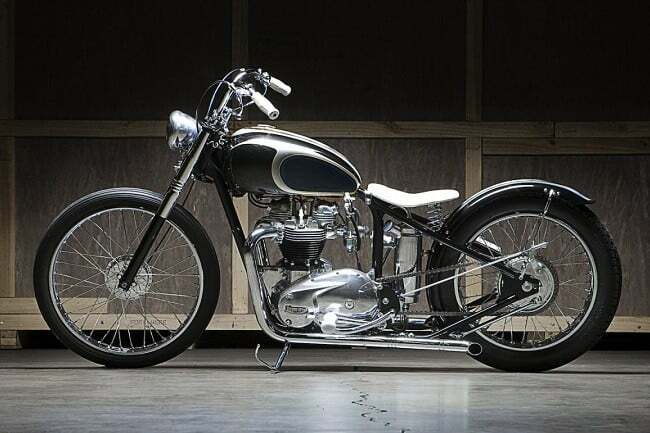 Every now and then, we spot that special custom motorcycle that makes us go: Wow! 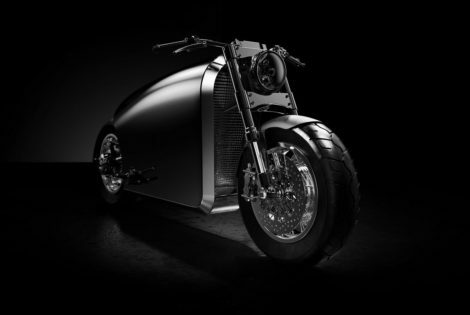 That’s a sleek, mean looking machine! 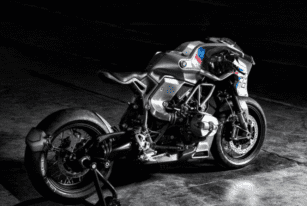 That was just the reaction when we laid our eyes on The Dreamliner. 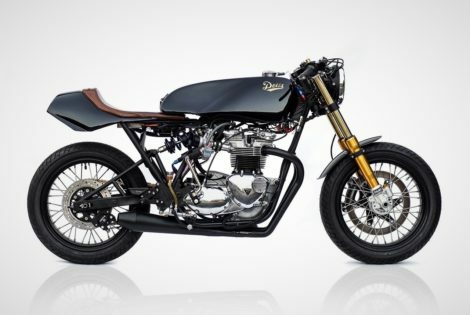 Coming from the brilliant guys at Deus Ex Machina (Michael Woolaway’s workshop, to be exact), this bike combines classic shapes and modern technology without looking odd–instead, it shines as elegant as a 1960s Ferrari or the Chevys back in the day, yet very up to date. 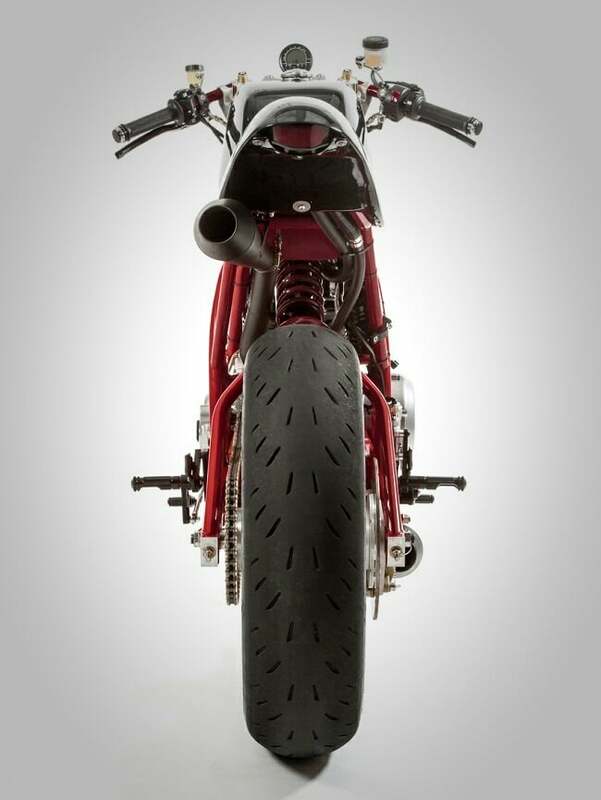 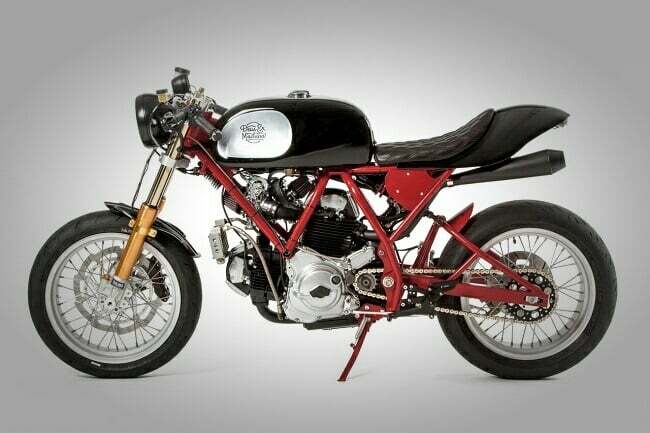 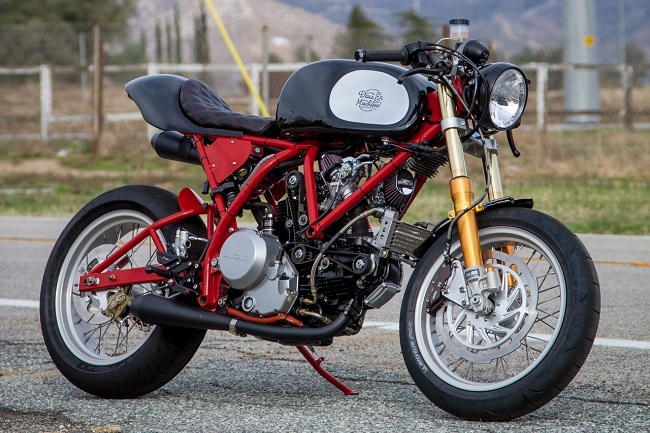 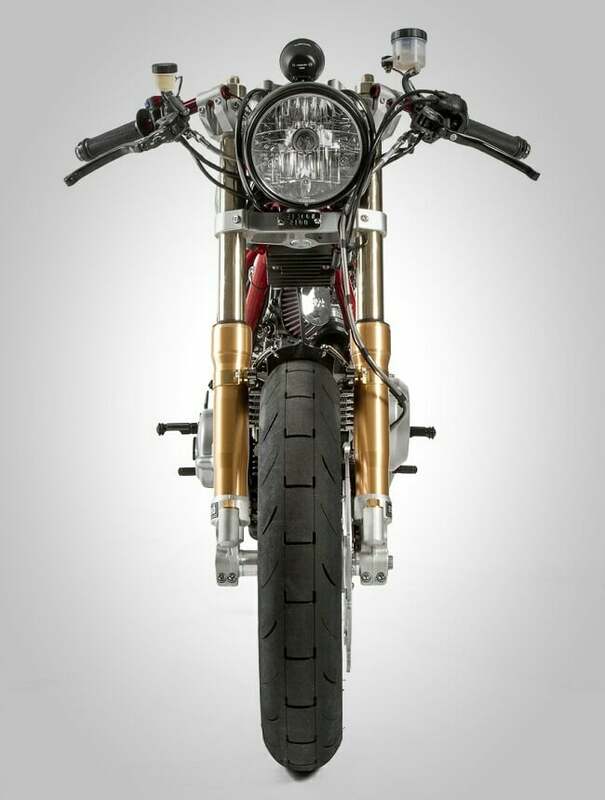 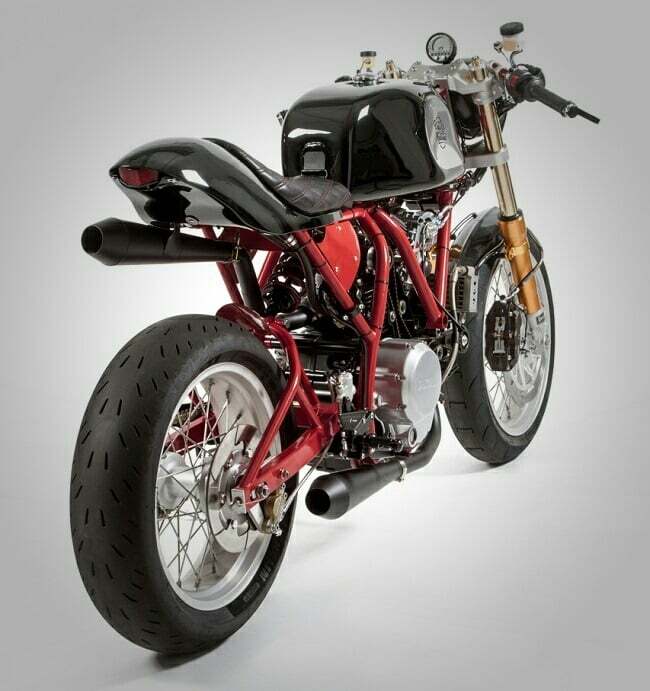 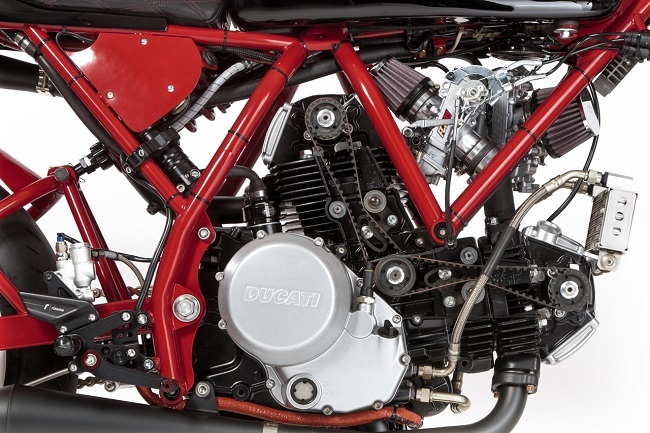 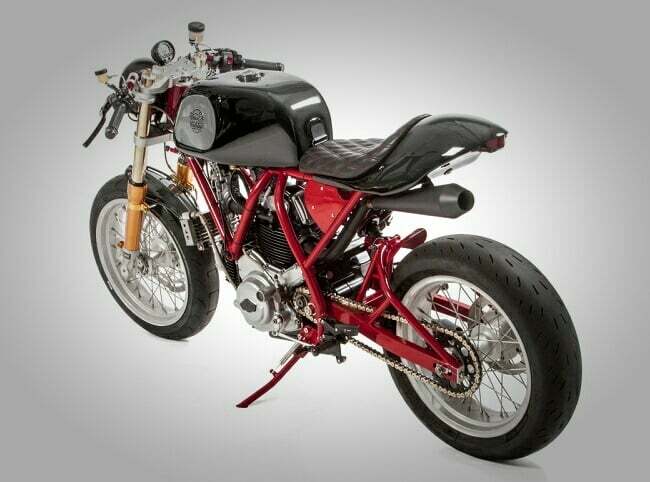 The engine is a fully rebuilt 750 two-valve Ducati Monster stuck snugly inside a light and tight chromoly frame. 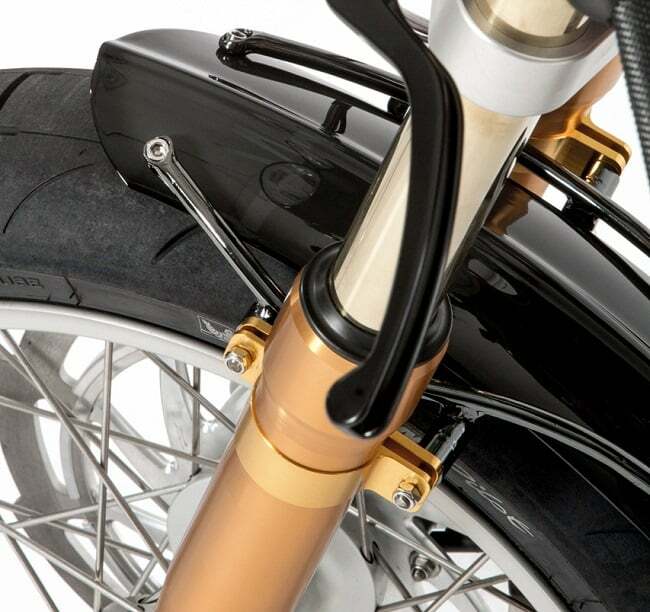 The Cone Engineering exhaust pipes promise “throaty notes that escape out of either side of the Dreamliner in a manner similar to the Ducati Imola racers of the 1970s.” The retro-looking tank is made out of 1100 aluminum alloy, the same material used for the seat, which is covered in Kushitani waterproof leather and finished off with double tuck stitching. 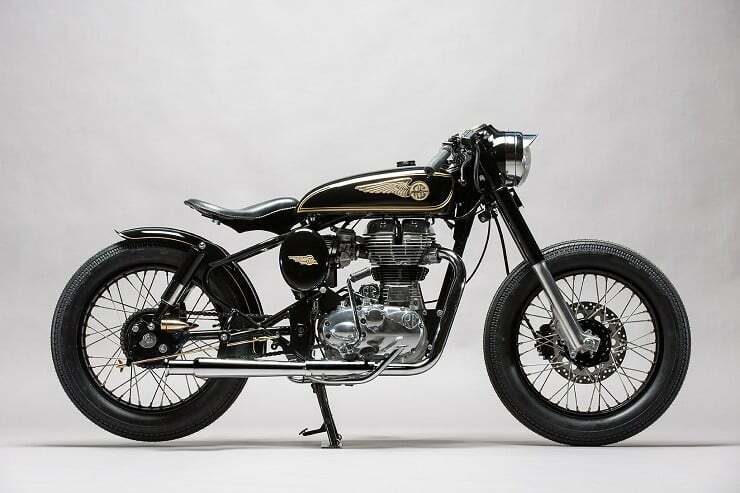 He has often made a name for himself in the past for his work with custom bikes and metal where the resulting vehicles/pieces of art look like something from high-concept fantasy fiction.